The trip to Finland is one of the most popular overseas holiday by the inhabitants of Leningrad region. When planning a trip, it is necessary to make a list of documents that should be shown when crossing the border. Passport all participants of the trip, visas, reservations of hotels, car papers (if you drive). The usual tourist package of documents necessary for entry to Finland is that the identity document with a Schengen visa, an insurance policy valid during the trip. The main document required when traveling to Finland, is the passport with a pre-obtained single-entry and multiple-entry Schengen visa (if the visa is multiple entry visa to Finland it does not matter). Date in visa should include the period of stay on the territory of the country. Mandatory documents include an insurance policy (issued before applying for a visa, affects, as a rule, the period of stay in the country). Policy ask, not always, but it is better to have. In addition, it is better to have a printed confirmation of hotel booking, apartment or cottage. It is possible to ask to send on e-mail and print your own. If the trip is purchased at a travel Agency, a voucher is required to print and issue to the client Agency. Families travelling with children need to carry with you documents to all children (passport, original and copy of birth certificate and insurance papers). If the child entered in the passport of one of parents, the visa should be marked "+child". When traveling with a child under 18 years need a notarized consent to travel from both parents (if the child is traveling without parents). With one of the parents the child can enter without documented consent from the second. Since the entry into the Schengen area may ask about the amount of cash to each participant of the trip, it is necessary to have 100-200 euros in cash (or a Bank statement confirming the availability of money on the credit card). For those traveling by car, list of required documents is increased by 2 times. Most necessary of all documents are driver's license (you can use Russian law for a ride, but in order to rent a car in Finland, you need international law). With them it is also necessary to take certificate of registration of the vehicle (registration certificate), and pre-decorated Green Card (insurance policy for the vehicle, valid on the territory of the Schengen area). "Green card" issue very quickly, inhabitants of St.-Petersburg and Leningrad region (and other border areas) can make it even on the way to the Finnish border. Traveling with a child, be sure to arrange for him a visa and insurance. Finland is one of the most popular countries among Russian tourists. This is largely due to the fact that you can get there by various modes of transport: plane, train, bus and own vehicle. If you decide on a car journey, you need to know and follow some rules. – pass technical inspection of the vehicle (not ask, but need to be). Finns is very meticulously monitored the use of different types of rubber in certain times of the year. From 1 December to 29 February, the use of winter tires – or you just don't miss out on the territory of the country. Tread depth of winter tyres must be at least 3 mm. there had been a rule that winter tyres must be studded, however, at present, the use of studded tires optional – at the discretion of the driver. Summer tyres in Finland, used in the period from 1 March to 30 November. Tread depth – not less than 1,6 mm. Absolutely can not take the way the device is "radar detector" – in Finland its use is prohibited by law! 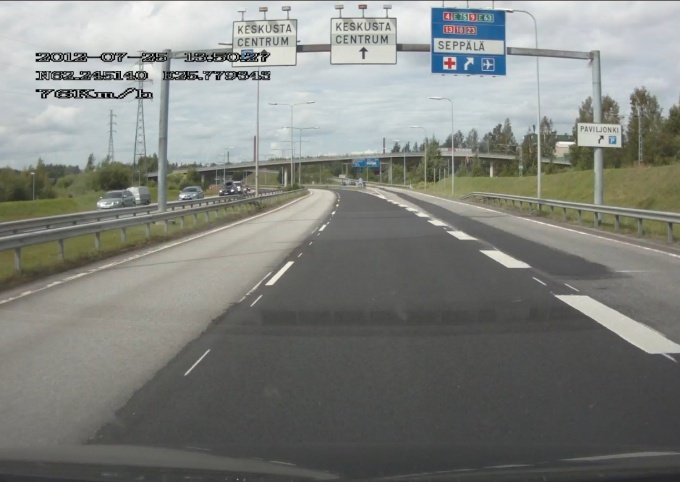 Even if the "radar detector" is not connected, and at examination of Luggage of the Finnish border guards will find you in the car – the trouble is guaranteed, and the least of them – a large fine (up to € 600!). So going on the road, don't forget to write "radar detector" at home. Parking in Finland is a whole set of rules and knowledge. Leave the car in the Finnish towns only in designated areas! Otherwise a fine of 50 euros and above! And to pay a fine required in a period of one to two weeks, because after that interest will be charged 50% for each day of delay! – Paid Parking. Typically, two Parking spaces equipped one column with two coin-operated; Parking costs on average 1-2 euros per hour. The display shows the countdown of paid time, after which flashes a red signal. There are Parking lots with ticket machines. The ticket is written the time you paid. The ticket you need to put in a "torpedo", so it can be seen from the outside. Such machines are usually installed in underground Parking in the large supermarkets. – Free Parking. To determine the free Parking will help sign – the white letter "P" on a blue background. Under it – schedule of Parking. Treat carefully to what is written on the sign; if there are additional records, the value of which to determine you can't, better look for another Parking area in order to avoid penalty. To take advantage of free Parking, you need to buy at the gas station or at a kiosk "R", "Parking hours" (cost 3-5 euros). It is a blue box with a rotating disk, which sets the arrival time to the Parking lot. "Parking clock" also put on a "torpedo". The time of such Parking up to 4 hours. However, remember that on weekends most Parking lots in Finland is free (follow signs)! – maintenance service: telephone 9800-35000; the dispatcher will connect you with English-speaking staff member; after clarification of the problems to you will send a mechanic or tow truck. Remember that on the slopes of Finland, towing with wire rope are prohibited! – police: 10022 phone; in addition, number 112, always and everywhere to call the police, ambulance or fire service. Fines in Finland are very high, and they are calculated on the basis, first, of the gravity of the offence and, secondly, the monthly income of the offender. For example, if you exceed a speed of 25 km/h and your income is 3000 euros per month, you get a ticket 540 euros! In General, speeding is punishable in Finland very sternly unpunished may remain exceeding the speed limit by only 3 km/h and then start the sanctions. Moreover, on all pistes has many recording cameras. To understand how the automatic stations in Finland, it is very difficult, especially for a beginner! We must act as follows: stop the machine, open the tank hatch, to watch the column number. Typically, one machine payment acceptance works on two columns. The gun in the tank until a paste! In the display the machine you need to choose the language (Russian), to find a slot for receiving notes and insert the desired number of banknotes one at a time, in the right position (as sketched next). The display will show the entered amount. You then need to specify the column number (or select one of the two proposed arrows), to check (it will appear a question – do the check, you have to answer "Kyllä/Ei" "Yes/No"). And only after that you can insert the gun into the tank and pour the gasoline. If you want to pay by credit card, you need to find a card slot, insert the card (she goes inside), enter the pin code by following the instructions on the display and choose the amount you want to refuel (the menu will indicate 20, 40, 60, "muu summa" – another amount). After that, the card will be returned, and you can refuel. Observing all these rules and knowing the features, your trip to Finland will be pleasant and unforgettable! Holiday in Finland is becoming increasingly popular among Russians. To get to this small but very friendly and welcoming country to all types of transport, including the ferry trip from St. Petersburg. Traveling by car has its advantages. Before you hit the road, you should be familiar with the rules of customs control. These rules change periodically, Soviet and Russian driver's license, except temporary, in Finland, there are, but still, planning a trip, check up, whether there were any changes. Check out the car. In Finland the technical condition of vehicles are very strict. Must have a working headlight (in Finnish always drive with dipped beam), wheels, steering, brakes. Specify how it should be "shod" your car. Summer in Finland is forbidden to use winter tyres, and maximum tread depth at this time is 1.6 mm. in Winter tread depth cannot be less than 3 mm, the tires must be special stamp of (M+S). The duration of compulsory use of winter tyres depends on the weather. From December 1-March 1 permitted use of studded tires. If the winter is long and snowy, period of use can be increased. Get a radar detector. In Finland these devices are prohibited and can not avoid trouble, even if the device just sits in the glove box. Front glass should not be tinted more than the standards set by the manufacturer. In any case, the light transmission of the windshield must not be lower than 75%. Remove in advance additional light-shielding film, otherwise you will not be allowed across the border. Take care of the "green card" European civil liability insurance. To buy such a policy can be one of the points of sales near the international automobile border-crossing points in the Central district of the Leningrad region and in Karelia Republic. 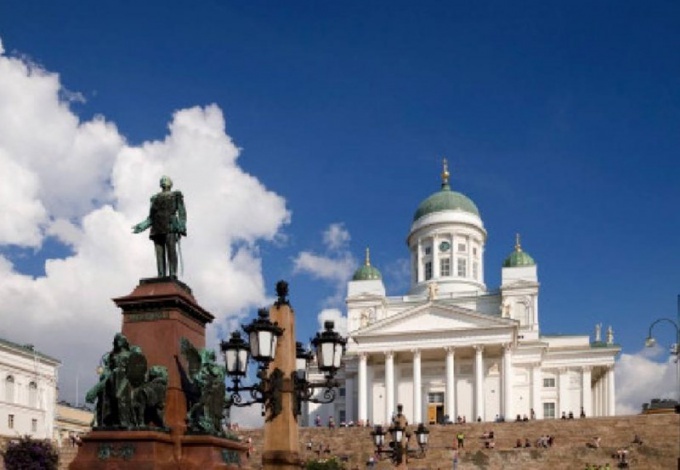 It can be done in Saint Petersburg by contacting any travel Agency that organizes holidays in Finland. Prepare the documents. You must have a passport, driving license, registration certificate for car, insurance, green card, booking your room at the hotel. In some cases, still required a notarized power of attorney on the car. The customs Declaration must be filled out in advance. Entry must be two of them. It is better to prepare a Declaration on leaving. As for the route, several of them. 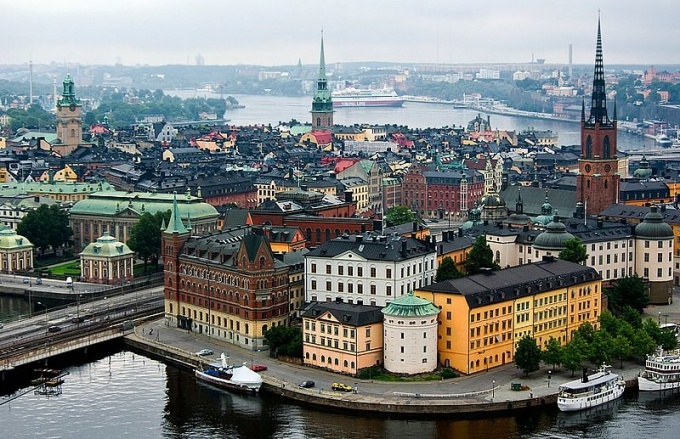 If you are coming from the center of Russia or the South, the most convenient to get first to St Petersburg, then travel on the track "Scandinavia" and for her to get to Vyborg. In the Vyborg district three of the checkpoint: "cranberry", "Torfyanovka" and "Svetogorsk". They loaded about the same. In winter, the most dangerous is the road to the Checkpoint. If coming from the North, the road through the Republic of Karelia will be shorter. There are several checkpoints: "Vyartsilya", lyuttya. From the Murmansk region to Finland, you can enter through the "Lawn", "a Lotta" or "Salla". Regardless of what checkpoint you go, drove down the lane for cars. It is better to choose a "green corridor" (of course, if you don't have the baggage items that must be declared). There are queues on Friday evening and Saturday morning, and before the holidays. At a checkpoint on the Russian side, the driver himself comes to the customs officer and makes 2 copies of the Declaration. One instance you have to give. Save it to show when leaving Finland. The next stage is passport control, which are the passengers and the driver. The driver makes the registration certificate for the car and passport, any other passport. After controlling far the documents are not clear. The customs officer must inspect the trunk. Not finding anything illicit, he will miss your car. Drove up to the Finnish point, exit the vehicle and go back through passport control. First, it should be the driver. Usually the passport is enough, but may require the policy, and the credit card reservation for a hotel room, and also to ask some standard questions. Once in Finland, strictly follow the rules. Parking permit marked with the sign – in other places it is impossible to Park. Finnish police strictly applies to speeding violations that winter and summer are different.